G2K Hosting Review 2019: Is G2K Hosting a Good Hosting? G2K Hosting is an Argentina-based company that offers web hosting solutions to businesses all over the world. 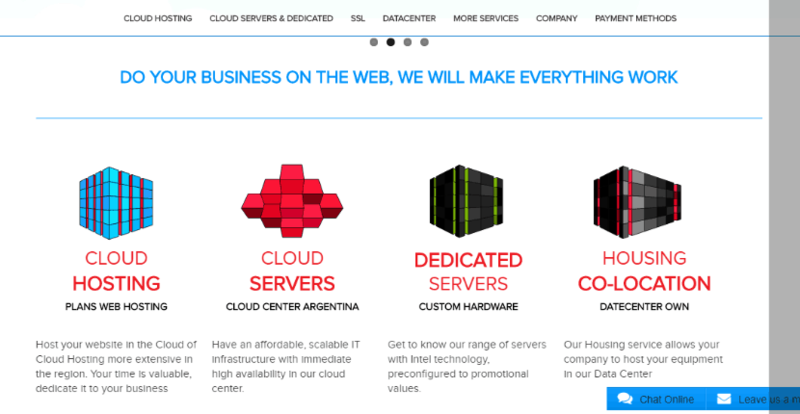 They are one of only two Argentine web hosts which have their own data center. Although not really beginner-friendly, their plans are very cheap for the benefits they offer. G2K Hosting offers shared cloud server and web hosting services from dedicated servers to customers all over the world. Their data center can host over 6000 servers. The only really beginner-friendly shared hosting plan they offer is the premium shared hosting plan. It comes with a free website builder that you can use to create a website in just five steps. Beginners not on the premium plan have to pay extra to use the website builder. I don’t like the fact that there is no one-click installer on any plan, but you can still go for the lower plans and install a CMS from your cPanel. I also don’t like the lack of automatic backups on any of their plans, which means you have to manually back up your files from the back end. G2K Hosting provides dedicated server options for customers who want to benefit from unmetered bandwidth, a minimum of 500GB SATA disk, and 4GB RAM machine. These dedicated servers come pre-configured with the latest Intel technology, but you can also use your own custom configurations. Those using the web hosting servers benefit from a free anti-spam and anti-virus filter that guarantees a 98% reduction in spam. And although G2K Hosting doesn’t provide free SSL, you can easily purchase a Comodo SSL certificate via their website. The premium shared plan also comes with a free .com domain. They don’t allow monthly payments on their shared hosting plans, but that’s not so bad when you consider that those plans are cheaper than most other hosting companies for about the same storage and bandwidth limit. You can save even more with the two- and five-year packages, which may well be worth committing to. Customer support options include email, phone, ticket and live chat. However, only the top-tier shared hosting plan provides phone support, and on all the other plans you can only get help by opening a ticket. G2K Hosting offers customers very competitive web hosting and associated services. But beginners who don’t want to pay for a premium plan may well want to look elsewhere. Onajite loves teaching people how to start a business, manage it and scale online. She also provides technical SEO and copywriting services to businesses in several industries, including e-commerce, online marketing, website development, and design. She has an affinity to be buried nose-deep in books or articles, be it fiction or otherwise. Wondering how G2K Hosting stacks up against other Web Hosting companies? Enter any other Web Hosting company and we will give you a side-by-side comparison.